A lot of our clients have wisely questioned if they are allowed to prohibit employees from discussing their salary with other employees. The answer usually surprises them. The simple answer is “No”. An employer cannot prohibit salary discussion among employees according to the National Labor Relations Act (NLRA). Most employers are familiar with the NLRA but, unfortunately, do not realize that this Act does more than just regulate the activity of employers with unions. The NLRA covers almost all employers, with or without a union, giving most employees certain rights regarding their wages and working conditions. Among other things, the NLRA protects employees’ rights to “engage in concerted activities for their mutual aid or protection”. The National Labor Relations Board (NLRB), which enforces the NLRA, has consistently interpreted this protection to include employees’ rights to talk together about their wages and other terms and conditions of employment. Even a single employee may be engaging in protected concerted activity if he or she is acting on the authority of other employees, such as bringing group complaints to the employer’s attention, or trying to induce group action, or seeking to prepare for group action. If you have a policy that prohibits employees from discussing pay with one another, you should reconsider it. These policies usually violate federal labor law. You cannot forbid employees – either verbally or in written policy – from discussing salaries or other job conditions among themselves. Who is covered by the NLRA? employed by an employer subject to the Railway Labor Act, such as railroads and airlines. However, if you are a federal contractor, don’t think you are free to crack down on wage discussions. In 2014, President Obama signed Executive Order 13665 which directed the Secretary of Labor to propose a rule to require pay transparency among federal contractors. The order protects employees of federal contractors who talk about pay. The order also established two types of defenses that contractors can use against allegations of discrimination under the order. You can find more information about this order in this Department of Labor news release from 2014. Two or more employees discussing their pay (this discussion may be oral or written, including via social media). Two or more employees discussing work-related issues beyond pay, such as health or safety concerns. Two or more employees addressing their employer about improving their pay or working conditions. An employee speaking to an employer on behalf of one or more co-workers about improving workplace conditions. Although the NLRA bans employers from preventing discussion of wages and working conditions, the provision is vague, and the practice is common. 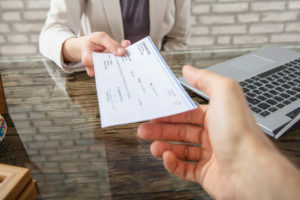 Last year, in a nationwide survey by the Institute for Women’s Policy Research, half of adults reported that discussions about pay were either prohibited or discouraged at their workplace. In April of 2018, an Administrative Law Judge ruled against Lowe’s, the home improvement retailer that was accused of violating the NLRA by forbidding its workers from discussing their pay. In defending its policy, Lowe’s said the rule applied to individuals entrusted with non-public information about Lowe’s business and was intended to, among other things, ensure compliance with anti-trust laws; it did not prevent employees from discussing salary information with each other, the company said. The judge disagreed, finding that the policy applied to all employees, and interfered with their NLRA rights to discuss the conditions of their employment. Employee discussions about wages, the core of Section 7 rights, are “the grist on which concerted activity feeds,” the judge said, noting that the Board has consistently held that rules or provisions which prohibit employees from discussing wages are unlawful. In a recent case against T-Mobile US, Inc., the US-based wireless network operator was ordered to rescind policies found to be illegal by an Administrative Law Judge, based on NLRA provisions. The judge in that case held that T-Mobile’s email policy, confidentiality policy, and wage and hour complaint procedure, along with the threat of discipline for failing to adhere to any of those policies and procedures, were illegal under the Act because they restricted employees’ ability to disclose or discuss basic workplace issues, such as wages and hours. Similarly, the judge held that T-Mobile’s media policy restricting employees’ communications with the media was illegal because it prohibited employees from disclosing wage and hour complaints. The judge found that such policies were having a chilling effect on union organizing. T-Mobile was also required to post notices in all its workplaces about the changes. What about Discussions on Social Media? As we all know, employees today discuss their jobs on social media outlets such as Twitter, Facebook, and LinkedIn. They talk with co-workers and friends about workplace events and issues, including salary. That can be frustrating to employers who are trying to eliminate the morale issues that are inevitable when employees are paid different wages, regardless of the fact that pay varies for good reasons like performance, longevity and bonuses. There are a handful of potential protections for employees who post, including state laws that protect employees from discrimination based on their off-duty conduct, political opinions, or religious beliefs. But the most significant protection today is from the NLRB which says that employers cannot fire or discipline employees for certain job-related posts on social media. The NLRB has been diligent in applying these protections to employees and that has proven costly for employers who have not removed such language from their policies. You can avoid such costly consequences by reviewing your policies to be sure they do not prohibit workers from discussing pay and working conditions. Remember, the law errs on the side of protecting your employees’ rights to concerted activity. If you are an employer with any HR concerns, please send an email to HRhelpline@eastcoastrm.com. If you have any questions about East Coast Risk Management and the services we offer, please visit our website (www.eastcoastriskmanagement.com) or call (724) 864-8745.